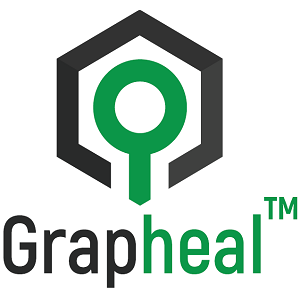 Grapheal is a Startup project which aims at building an innovative bandage technology addressing chronic wounds. The innovation consists in integrating a new material made of a stabilized medical-grade graphene layer onto a biocompatible polymer film. Graphene consists of an ultimately thin layer (a single atom thickness, 0.3nm) of pure carbon, flexible and transparent, which combines healing and antibacterial action, optical transparency and electrical conductivity. It is obtained by integrating a large uniform graphene monolayer into a bandage in order to provide a bio-stimulating and electrically-active platform directly applied in contact with the wound. It allows the development of a range of intelligent dressings that combine a therapeutic and diagnostic actions. -Therapeutic because graphene functions as a growth matrix, promoting healing but at the same time acting as an electrode in close contact with the wound. This allows the application of electrical pulses whose actions promote faster healing and reduce pain. -Diagnostic because it plays at the same time the role of an embedded detection platform for on the bed, parameters used to monitor evolution and detect at an early stage the onset of infection. The primary target market is the chronic wound and more precisely diabetic wounds, that is nowadays a major public health problem, resulting in nearly 500,000 amputations each year worldwide. The markets of the connected dressing with the remote diagnosis will be addressed in a second phase. The startup to be created mi-2018 benefit from a transfer of technology based on 10 years of academic research and 3 patents. The startup project is a spinoff of Néel Institute, currently under some incubation phase and supported since 2015 by CNRS and Linksium SATT-Grenoble technology transfer offices.